Ukrainian grain farmers cannot timely execute contracts for exports of products due to a shortage of locomotives at Ukrzaliznytsia, the Ukrainian Agribusiness Club has reported. “The main problem of PJSC Ukrzaliznytsia, which impedes the efficient transportation of grain, is a shortage of locomotives. 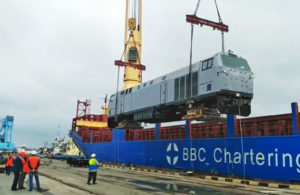 Due to a lack of traction, wagons stand idle at stations and elevators, while the turnover of cars of Ukrzaliznytsia’s Transport Logistics Center has increased from five to 11 days over the last two years, private to 13 days,” the report says. According to the association, delays in the transportation of grain crops lead to a breach of export contracts, while transportation rates are declining, and gross production is rising. 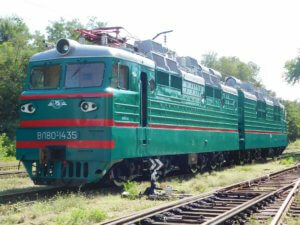 According to the union, only 500 out of 2,500 Ukrzaliznytsia locomotives work, while the overhauls of many of them were carried out in the 1990s. At the same time, the association noted an increase in the number of grain wagons in the country: about 11,500 cars are owned by Ukrzaliznytsia, about 10,000 are private. According to the Ukrainian Agribusiness Club, it’s not worth expecting a speedy improvement in the situation with rail transportation because of a lack of funds at Ukrzaliznytsia for the purchase of locomotives in the near future. 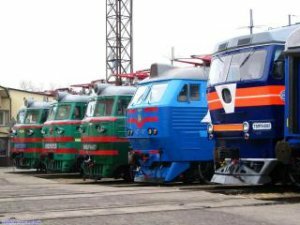 General Electric experts will recommend the management of Ukrzaliznytsia Melitopol locomotive depot of the regional branch Prydniprovska Railways as the main base for servicing GE locomotives. 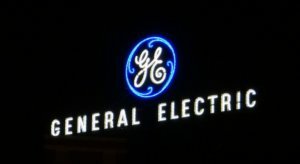 The GE employees made such conclusions after the examination and inspection of the depot, Ukrzaliznytsia reported on its website. 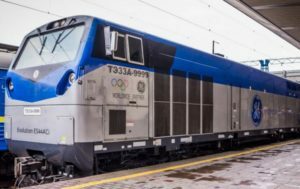 “The General Electric representatives believe that Melitopol locomotive depot maximally meets the requirements of the company for the center for servicing TE33AC Trident diesel locomotives built for Ukraine,” the report says. During a visit to Melitopol depot, the General Electric representatives inspected the production facilities of the depots, familiarized with the technical equipment and capabilities of the structural unit, its personnel potential. They also discussed a number of issues that need to be resolved: the allocation of individual warehouse and office space, the determination of the number of personnel for carrying out repairs and technical maintenance of traction rolling stock, employee training, the details of material and technical support, and so on. As reported, in the beginning of August General Electric Transportation sent the first of 30 GE TE33AC locomotives to Ukraine. 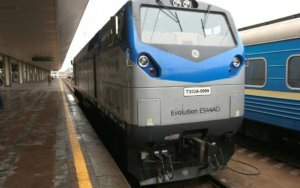 The framework agreement between Ukrzaliznytsia and GE envisages a 15-year partnership in updating and modernizing traction rolling stock, the first stage of which is the delivery to Ukrzaliznytsia under the terms of leasing of 30 new GE TE33AC diesel locomotives with a localization level of 10%.